NBA – The Cleveland Cavaliers host the visiting Toronto Raptors to start their own 2nd round semis match of the 2017 NBA Playoffs at Quickens Loans Arena. The Cavs sweep the Pacers to advance to the next round while the Raptors need 6 games to beat the Milwaukee Bucks. The Cavs and Raptors end the regular season tied at 51 wins and 31 loss, but due to superior quotient the Cavaliers take the 2nd seed and Raptors take the 3rd seed in the East Standings. In Game 1, the Cavaliers starts the game strong posting early double digit lead in the 1st quarter while their biggest lead was established in the 2nd quarter with 16 points advantages. The Raptors manage to come back in the game after starting a 14 – 0, run to cut the Cavaliers lead into 2 points with more than half a quarter to go, but the Cavaliers manage to hang on to their lead as they ended the 2nd quarter with a 14 point lead 62 – 48 coming at the half. Cavs “Big three” lead their team in scoring at the half with Kyrie Irving posting 16 points, 5 assist, LeBron James with 13 points, 7 rebounds, 4 assist and Kevin Love with 11 points and 8 rebounds. While the Raptors lead by Kyle Lowry with 15 points, Demar DeRozan with 10 points and the newly recruited Serge Ibaka with 12 points. In the 2nd half, the Cavs scored the first two points of the 3rd quarter coming from a two made free throws of Kevin Love to equal their biggest lead at the half, but Raptors immediately brought down the Cavs leads into single digit 65 – 56 with 9:25 to go of the said quarter, but again the Cavaliers retaliates posting their biggest lead of the game with a 25 point lead with only 38.2 seconds to go 96 – 71 in the 3rd. In the 4th quarter, the Cavaliers is having a comfortable lead of 22 points, but through their regular season history, especially in the later part of the season the Cavaliers cannot hold on to their big lead that many sports analyst question their Cavs ability to end a game. 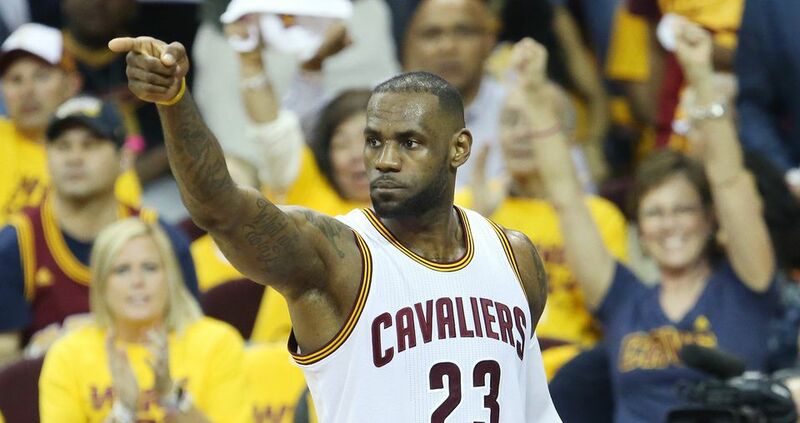 But this time the Cavaliers will not be denied as they hang on their big lead for most of the entire 4th quarter. LeBron James was taken out of the game with 3:18 to go due to already win the game. James finished the game with 35 points, 10 rebounds and 4 assist to lead the Cavs in Game 1, blown out victory against the Raptors 116 – 105. No Comment to " CAVS Dominated the Raptors in their Own Semis Opener "